Seeking a community service legacy project for completion in 2017 to honour Canada’s 150th Anniversary, the three Rotary Clubs of Burnaby, Burnaby Metrotown and Burnaby Deer Lake, represented by Peter Beynon and Bala Naidoo, concluded extensive feasibility assessment and negotiations with the City of Burnaby to commit to this outdoor fitness facility for the health and fitness of local residents. Over the past two years the three Burnaby clubs contributed to the $150,000 needed for Rotary’s share of the project funding. 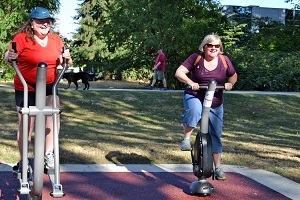 To achieve their goal they also received a Rotary District 5040 grant from Rotary Foundation funding, a provincial government grant thanks to help from a Burnaby MLA, sponsorships from local companies and donations from Rotary friends and families. 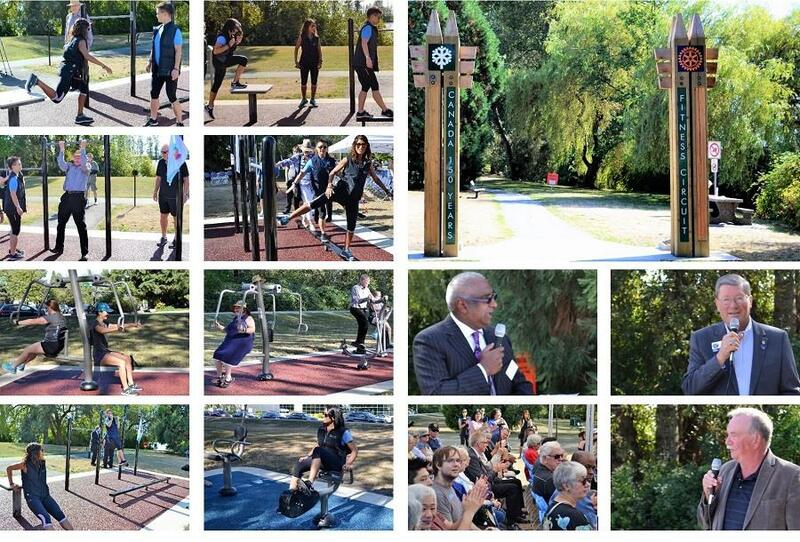 On September 15th over 150 Rotarians, led by District 5040 Governor Don Evans, Burnaby Mayor Derek Corrigan, city officials, seniors and park users participated in the fitness circuit’s grand opening. 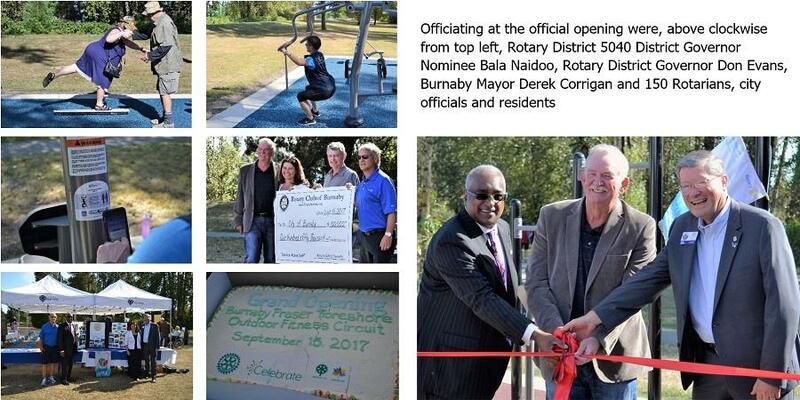 Having achieved this Canada 150 dream, Rotary in Burnaby has achieved a long term contribution to the strength of the community and the public image profile in such a popular location. The fitness facility represents Rotary’s community service above self and what can be achieved by Rotary as people in action.